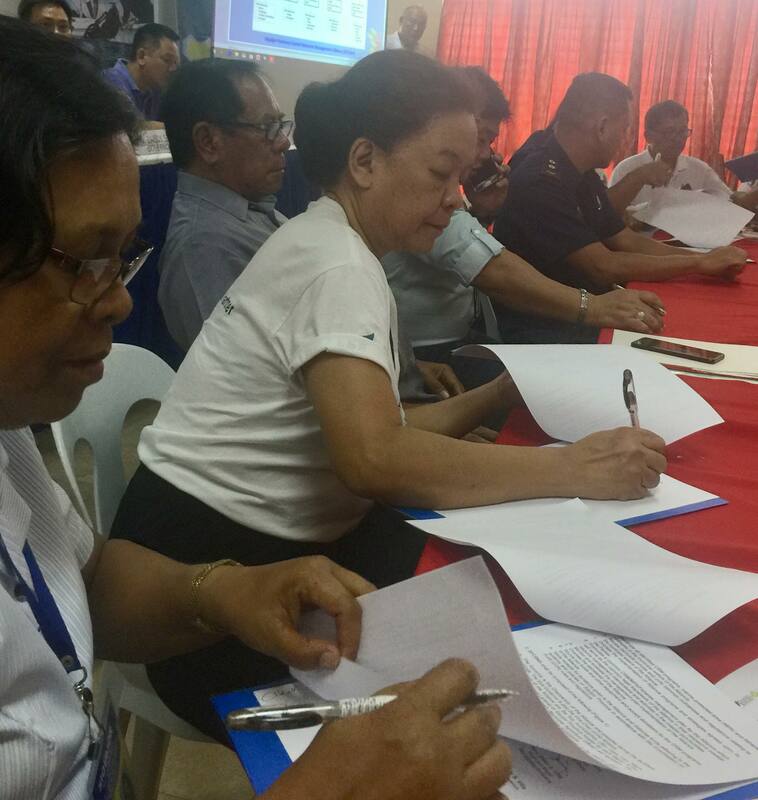 The provincial government of Siquijor and municipalities of San Juan, Lazi, Maria, Enrique Villanueva, and Larena inked an alliance last August 13, 2018 for the protection and management of the municipal fishing waters of Siquijor. The eastern coast of Siquijor has been identified as a key biodiversity area (KBA) and the island itself has 17 established community-based marine protected areas, which is why it is one of the important fisheries ecosystems in Central Visayas (as part of the Bohol Sea). The Siquijor Province CRM Alliance (SPCRMA) shall be an umbrella alliance who will coordinate all CRM and MPA programs as well as fisheries strategies in the municipal waters of Siquijor; review and unify common ordinances and regulations on municipal waters; formulate a collective management plan and monitor and evaluate its implementation; among others. This pursuit was borne out of Project ISDA (Isda Siguruon Damgong makab-ot pinaagi sa Alyansa) an ongoing project by the Coastal Conservation Education Foundation, Inc. Project ISDA aims to contribute to food security through MPA alliance building and effective MPA designs that can improve fish stocks, marine biodiversity and resiliency to the adverse impacts of climate change. This project reinforces FPE’s commitment to marine conservation in the Visayas. Enrique Villanueva Mayor Gerold V. Pal-ing, Larena Mayor Dean S. Villa, and San Juan Mayor Alberto V. Ocay.